Should essential oils be a part of your health and wellness care supplies? Is there a big difference between a bottle of essential oils that costs $90 and a bottle that costs $12? Is there a way to determine whether or not I’m really getting a quality product? Are they safe to use without side effects? Is there a big difference between essential oils and dried herbs of the same name? The answer to all of these questions is a resounding YES! And I don’t say YES lightly. For the past 2 years I’ve been stocking up on quality essential oils like it was bullets, water or wheat—putting my money where my mouth is to the tune of nearly 6 figures in retail value. I use them everyday throughout the day and I can easily envision a time in which I will have to use them to help others as well. 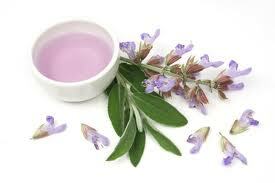 Now, having said that, there are some very serious caveats to using essential oils. Not only are all essential oils certainly NOT created equal, but the United States Government with the FDA go out of their way to actually ensure that you’re very unlikely to get a medicinal quality essential oil. More on that in a bit. You may not be aware of this, but the European medical system utilizes methods of health care (both emergency and preventative) that we would refer to as “alternative health care” here in the U.S. You use the term “alternative health care” in France and they will think you’re talking about voodoo dolls or religious based rituals. The use of essential oils, herbs, and tinctures is very much alive and well in the hospitals and doctors’ offices in Europe. It’s an everyday occurrence for medical doctors to prescribe essential oils right along with the chemical pharmaceuticals. In the hospitals, essential oils are critical to keeping a clean and healthy air flow, clean hands, and calm patients—just to name a few. Here’s the irony in all of this; though Europe uses essential oils regularly in their field of expertise, a lot of research upon which they rely is done here in the U.S.! Yup. And guess who’s funding their research? European and UK based medical and research organizations! I frequently reference a couple of great medical reference books when I’m researching essential oil use. As I look at the footnotes for the research, I’m amazed at how often well-known and highly respected universities throughout the U.S. are accredited for the research results! (By the way, the book Aromatherapy for Health Professionals by Shirley and Len Price is a fabulous reference book that’s a staple resource in the hospitals in France and Australia.) So if our research is good enough for those who rely upon essential oils to save or enrich a life elsewhere in the world, why isn’t it accepted here in the U.S.? It’s no secret that terminal diseases and death are big money makers in our medical community of the globe. In fact, laws are being passed in various states now that even after an adult dies, their family members can still be found footing the bill for those ginormous bills. (yes, ginormous is a word…look it up in the ghetto dictionary. *grin*) Additionally Americans pay for their own healthcare; it’s not paid for through a socialist economy. As such, there’s a lot of money to be made in the insurance premiums that are paid out of fear that a big bill will come along and destroy everything a family has. Additionally we have the pharmaceutical industry that makes money hand over fist in the research and development and ultimately sales of their drugs. You see, while I loathe the socialist structure, it does give some impetus for people to actually GET WELL and STAY WELL. The less money that a socialistic government spends the more they get to “keep” to fund other outlandish pet projects. And if they don’t keep their citizens alive and well for the most part, then there are no citizens to pay for the skyrocket tax percentages to foot the bill for all of the other socialistic programs funded by citizen tax dollars. (Come to think of it, that doesn’t sound that much different to where we are now… moving on.) By contrast, if this nation allowed solutions for cancer, Alzheimer's, heart disease, ADD and depression, high blood pressure to enter into its walls, there would be a scene of absolute financial carnage displayed in the wake of the economic turmoil such a move would create. Imagine the financial consequences to our volatile economy if TRILLIONS of dollars stopped flowing in the medical industry all because our government and the FDA allowed access to legitimate, authentic, affordable, well-researched by as much as 100 times more than existing drugs, scientifically proven, all-natural, effective, and UN-patentable with dozens of POSITIVE side-effects? In all seriousness, allowing these kind of PROVEN cures for big-ticket diseases and causes of death would completely crumble the American economy as we presently know it to the tune of TRILLIONS of dollars. I’m not exaggerating one iota either. Just the FDA fees alone reach $802 million dollars EACH. Medical device sales are in the ballpark of $111 billion each year. According to G. Edward Griffin, author of “A World Without Cancer” the cancer research industry alone is a $50 billion a year industry. The Boston Globe reported that the average annual cost of treating cancer is $158 billion in 2010 with an 8% increase each year. We’re close to trillions of dollars already and I haven’t even addressed the other losses of income and revenue streams that would take place if something affordable and effective were allowed to come into our nation. How about vaccines being replaced by alternative medicine ($20 billion business in 2009)? Eliminating the need for high-risk health insurance and not so much malpractice insurance? How about dialysis, medical patents, drugs which cost $30,000 a dose, donations from citizens, unnecessary surgeries, dental and vision insurance policies? I think you get my point. Bottom line, there are trillions of reasons why we will never see sanctioned use of medicinal quality essential oils in this country by the American Medical Association, National Health Institute, Susan G. Komen, American Cancer Society, FDA or Blue Cross/Blue Shield Insurance Company. In fact, these entities are SO powerful, that they insisted that the FDA go after the makers of Cheerios and insist that General Mills apply for FDA approval for their cereal as a “cholesterol lowering” medicine OR take the claim of it lowering cholesterol out of their commercials and off of their product! They claimed that ONLY medicines can claim to lower a person’s cholesterol. http://preparednesspro.com/top-20-food-storage-mistakes-numbers-11-15/ (That’s REALLY ridiculous when you read the actual research that has been done on the wicked world of statins. NONE of them had to PROVE that they lowered a person’s risk for heart disease and statins are the ONLY other drug other than psychotropics that have to have the liver evaluated every 30 days because it can destroy your liver! How’s that for Russian Roulette?) Do you now see, at least a glimpse, why it would be financially disastrous if you were to get your hands on alternative forms of medicine that actually did for your body what the chemical pharmaceuticals and surgeries and procedures never WILL be able to do for your body and at a fraction of the cost? So, after all of that, might you better understand now why the U.S. is financially motivated to ensure that no one gets “distracted” from the standard medical practices for health and well-being with methods which don’t financially benefit them and millions of their citizens who have jobs in the health industry? Might you now understand why parents get so frightened and bullied when they have the audacity to consider alternative methods of treatment when their child is enduring Leukemia? Do you understand why chiropractors and acupuncturists and biochemical doctors are treated with such disdain among the medical community? More importantly, can you now understand why it’s SO important in your pursuit of self-sufficiency that you don’t just rely on the mumbo jumbo of the medical world as you know it? Please know that this is NOT to say that essential oils are some magic potion, nor are they appropriate for every health issue. It’s also certainly NOT saying that medical personnel are corrupt players in this game either. I was 100% grateful for the surgery I had a couple of months ago (though I could have prevented ever needing it if I knew 20 years ago what I know now.) And I’m absolutely grateful for nearby hospitals when my sister and I were in a serious car accident. You won’t find me saying “OH, you just smashed your head into the front windshield? Here, try some Geranium Essential Oil.” There’s a time and place for emergency medicine and a time and place for alternative medicine. But I suspect that if you can learn just a little bit of what I’ve discovered over the past 10 years of research, you will discover that modern medicine doesn’t need to play as big of a role in your life as you might have thought—and that even goes for YOU, regardless of what ailment you’re presently dealing with. Until then, know that my prayers are truly with all of you in your endeavors to become independent, self-sufficient Americans. Read through several of your EO articles...great info. FYI - technically speaking (biologically speaking? ), plants have "cell walls," while humans have "cell membranes." you're correct... Did I make that mistake in distinguishing in one of my articles? Which one? Thanks. Just did a quick search, I only found cell wall in Essential Oils 101. Thanks again for the info. Have never used EO before and am intrigued! My wife uses the doterra brand of essential oils. Have you done any research on that? I appreciate your steadfast dedication to reliable research. You save us a lot of time and energy by compiling your findings. As a trained herbalist & aromatherapist, and as someone who has worked with herbs & essential oils for more that 25+ yrs, I was ECSTATIC to see your well-written article. I was even MORE happy to see you were not pandering and recommending the doTerra stuff (cause I see SOOOOOOO much of that these days). Thanks for being impartial!!! Hate to say it, but I have a hard time with the Young Living & doTerra oils. Tho I must admit I like the spotlight being shined on my beloved EOs. One thing doTerra is GREAT at, and that's motivating and educating their distributors on marketing. So yes, you will see a lot of that. Unfortunately, the doTerra products are only able to temporarily increase the body's frequency for a short time and then after that, continual use will necessitate a physiological compromise. Where to you procure your beloved oils from, Lise? Be Young Essential Oils, but you can get anyone you'd like from me without having to enroll in an MLM--though I don't have a problem with it since there's not a charge to do so and no purchase limits; but I know that some folks just don't like to do that so I keep a very large stock of everything on hand they have in an effort for preparing against a all out pandemic or a world in which medications and doctor visits are hard to come by. If you'd like to purchase on the Be Young site you'll need my number of 8285. If you want to explore some suggestions for what you'd like to use them for first though, you can contact me via this page. Do they take orders from Customers in Australia? I do, personally, yes, and I believe they are able to as well. I know they have a couple of individuals in Australia, one of which being a key consultant to the company. 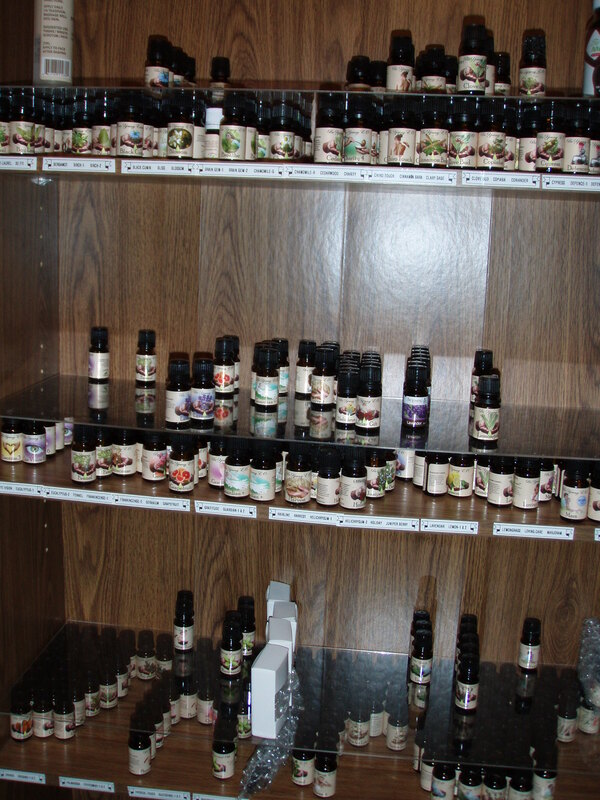 Keep in mind that even stored in optimal conditions, essential oils do have expiration dates. So rotate them like you would your food storage. Kathy, expiration dates yes, ---do they expire? NO. There's a big difference. The ones that are certified for medicinal purposes will NEVER expire so long as you store them properly. Thank you for your commitment to excellence. Your honest, straightforward approach to everything. My husband and I are HUGE fans. Keep up the good work faithful servant. And God bless you. If it were me, I'd first attempt to sell the other oils to folks with the company who are incredibly loyal to them. I wouldn't feel badly about that. If that got me nowhere, then I'd still use them for household uses such as laundry, cleaning, etc. that particular brand has enough real EO to elevate the frequency so it would still be viable in a pinch for SHORT term use, but unfortunately they don't have a long enough shelf-life to just store them and forget them. So I'd use them up as I could with the cleaning. Believe me, when I finally had to off load my Young Living stash, it went FAST in one day and I got more money to buy the good stuff with. Everyone's always looking for a deal. Kellene, one more thing. I have recently started my essential oils collection. If I have products from a company not Be Young (cough, cough doterra), should I discard and start over or finish what I have and buy from the aforementioned company? Thank You! That's kind of funny that you have a problem with the Be Young founder being related to the founder of Young Living but you don't have a problem with doTerra when it's organized and run by Young Living people, included the beloved doctor of chiropractic who ran all of the clinics for Young Living and was one of their most trusted employees but who's now the subject of a fierce lawsuit for stealing Young Living proprietary information. And just in case you want an easy way to verify this, Young Living makes this suit very public on their website. Yeah, that's interesting that you see things that way... Oh well. I guess we all have selective bias tendencies. I think if you read Part 2 of this series you'll see why I haven't been able to find a small family business that does essential oils properly. Also, if you educate yourself sufficiently on the frequency levels of constituents (as is available in the two books that I suggested in this article) you'll see what the doctors and scientists in the field of essential oils have to say about the impact that even insufficient essential oils have on the body initially and what are the dangers of using those essential oils with low frequencies do to the body over the long haul. And yes, it's very easy to do when samples have been obtained by various companies. Isn't independence grand? You don't have to trust doctors or chemists without questioning them. You can research everything yourself. Hey.. could you repeat the second book you referenced? I saw Aromatherapy for Health Professionals by Shirley and Len Price, as well as two different articles about cancer research, but I'm not finding the second book. I have been reading several of your posts on EOs, and I found that you referenced Advanced Aromatherapy: The Science of Essential Oil Therapy by Kurt Schnaubelt, but it was in a different post. Is that the book you were talking about in this comment reply? I'm just refreshed at finding books on Aromatherapy that actually have some real info that I can use to learn more about and mix my own blends. I don't want to miss out on another excellent resource if it is out there! One more question... a friend of mine *only uses* TruEssence oils. I've heard that company is also somehow related to Young Living. Do you know the connection? They are absolutely NOT EOBBD and further, they refused to provide ANY paperwork or evidence of their testing. Hello, I am not sure if I misread, but did you say there are other companies besides Be Young that follow EOBBD standards? Everyone is pushing DoTerra these days having parties with pretty brochures, etc. I just need to make sure we are using the purest possible EO. Luckily, we have chosen not to ingest any of the ones I have stocked in my cupboard and use those more for cleaning and topical uses (although quality could pose a risk here too). Thanks so much for posting this great article!!! Nope. There aren't any others that have been able to provide documentation that they utilize the same medicinal quality standards other than Be Young. Butterfly Express "claims" to abide by the EOBBD, but they refuse to provide any documentation to that effect. The Science of Essential Oils is the 2nd one. Maybe I'm totally missing it, but I only see one actual book referenced in the 4th paragraph - which is Aromatherapy for Health Professionals by Shirley and Len Price; I mentioned that one in my comment above. You say that you frequently reference a couple of great medical reference books when researching essential oils, but I don't see a second book named. The book you're looking for is in the 4th paragraph. Regardless of whether or not there's a relationship between TruEssence Oils and Young Living, neither company gets my seal of approval as neither one meets the European medicinal use standards. Well, you're reading the right place for that kind of information and the right article series that I'd suggest you start with. I'll be scheduling an intensive webinar series here soon that will come with a Resource Guide so be sure that you subscribe to our blog site so that you don't miss the announcement. I'll be answering all of your questions in that regard. I haven't had much experience with EO's until recently. I needed help with issues my child was having. All I knew about EO's is they Could be Dangerous with children if used inappropriately OR if shady/diluted/unpure brands were used. Time was of the essence for us. I wasn't going to use my children as a guinea pig. I needed the BEST/more pure brand and Kellene was able to share her knowledge AND documentation that proved the extremely high quality and standard of Be Young Oils. Kellene took the time to help me, answer questions and give recommendations of specific Be Young oils to use for my children. Yes- they're more expensive than other brands- but they WORKED. Better than I could have hope for in my wildest dreams. I don't know how but I would have figured out a way to pay 3 times the cost if necessary. To each their own and I'm not 'dissing' any other brands.. but I know what Be Young EO's works because I've SEEN it work. I can't wait to slowly keep building up my stock!! I have already sent Be Young a message regarding this topic, but I wondered if you might also have some insight while I am waiting for a response from someone from their customer service. I am looking for clarification on one issue. Everything that we ingest is processed by our bodies, from food to medication. Different organs process different substances. 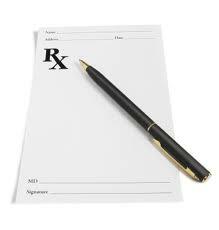 With medications there is a dosage limit in order to not damage the organ processing the substance. For example, Tylenol in high quantities damages the liver. The same concept applies for vitamins. If essential oils are as potent as I understand, it seems as though there should be guidelines for how much one should ingest over a period of time. The doterra reps I've talked to seem to think that because it's "all natural" that it won't harm your body no matter how much you take. I was wondering if Be Young has any guidelines. Heather, I mean no offense when I say that the question itself is flawed and anyone who would answer it in the fashion that you've indicated on here previously is seriously flawed in their understanding of what essential oils are. Your answer is not cut and dry. First of all, NO ONE who has any smarts would give anyone a "prescription" looking guideline on the use of essential oils i.e. 2 drops every 3 hours, etc. However, Be Young does provide several written works in which guidelines are provided for the safe and commons sense use of their product including cautions for children, those with high blood pressure and other considerations. Water is all natural. Sun is all natural. etc. etc. but if it's used inappropriately, it's capable of causing death! So just because something is "all natural" doesn't mean diddly squat. Fortunately, the body gives us warnings when we've overdone on essential oils, typically. We get sick--what I refer to as a "healing crisis" which is usually caused by too many toxins being stirred up in the body at one time. Anyway, long and short of it, there's your answer. I think it's important that you do your own research like I did mine. When Young Living began adulterating their oils, one of the brothers left and began his own company. His last name is Young and he intended to do something honorable with it rather than having it only stand for garbage essential oils. doTerra was also begun as a result of Young Living disappointing so many of their members when the oils stopped working properly and when lawsuits began being filed against Young Living for liver failure, etc. etc. etc. Looking at the name of a company is NOT research into the chemical makeup of essential oils. May be off the topic - are you able to comment on the Bach Flower Remedies? I just purchased several (for the first time) before learning more about the essential oils for medicinal purposes (thanks to you and some new friends!) and now I am thinking I should abandon them and go forward only with the oils. I actually really like Bach Flower options, but there's a time for those kind of option and a time for essential oils. I just read the following about an inexpensive book on Essential Oils and wanted your opinion if it is worthwhile or not for a beginner. "An incredible reference manual and resource in emergency preparedness. This guide was written by Dr. Scott A. Johnson and he shares must know information that could just be the thing that saves your life during a health care crisis. This guide describes in detail the top 42 essential oils you should stock in your emergency preparedness kit with scientific studies to back it up. Dr. Johnson’s resource is easy to follow and covers you on over 220 common health issues"
I've reviewed more than 100 books on essential oils. With the exception of 5 of those books, NONE of them even acknowledge the role that the constituents play in the effectiveness of essential oils, the European medicinal standard, and the importance of expertise needed for blending essential oils. The book you reference is no exception to that, and any written work that fails to address those three important factors is useless and worse, could even be harmful. Not only that, but a quick perusal of his book shows that this doctor recommends the use of vegetable oil as a carrier oil! NO Eastern Medicine expert that's worth their salt would ever suggest using such a UNhealthy oil. Good grief! Why bother with the essential oils if you're going to poison your body with vegetable oil? I'm sorry, but I have no reason to believe that this is a book that you should rely upon to benefit you and your family. What can you say about YES parent essential oils from scientific findings of Prof. Brian Peskin. Is it safe to take? They do not meet all 20+ points of the criteria. Sorry. I believe you mean Mountain Rose. They are one of the 100+ co's that I researched but did not meet more than 20% of my criteria. Sorry. I'm so sorry if I've missed something in all of my reading of your articles, but I am really interested in the 150+ "other" companies that you researched, as are most of the other readers. In addition, where is the rest of the series? I'm on pins and needles here!! And are we to believe that through all of this research of all of these essential oil companies that Be Young is THE ONLY company that met the EBOOD criteria? Am I understanding that correctly?